I went back to Jakarta for chinese new year celebration, a very short holiday i know-5 days only. 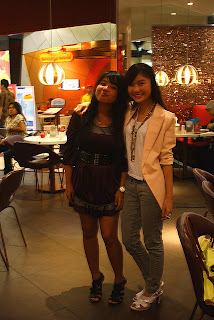 then went to GI to meet K.
wearing custom made dress picked by mom, f21 studded belt, and charles and keith shoes. Chinese New Year!! Spent it with the big family :D super happy! some of the feast. half i think. Well, i feel more confident with long hair, but mine is getting messy, it reaches waist already, so i just want a new look, but not too short. 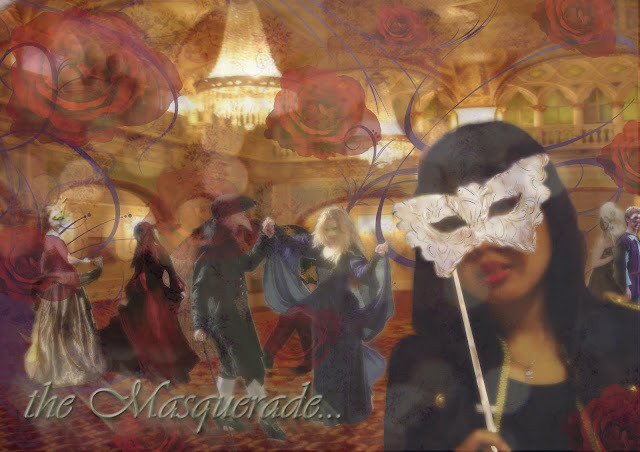 yes it is my photoshop project ,dear, around 60 layers and it is my fantasy about Masquerade world. 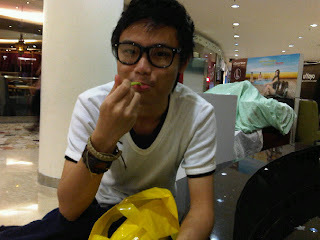 Then at night went to Senci, to meet K before i fly back. It was a quite short meetup. I really felt bad cause i made him waiting for so long. :( Had a good chat though, before i drove back home. I went back today around afternoon, reached apartment at 1pm and need to go class for presentation at 3 o clock. Now i'm back in Singapore again, back to reality that works are waiting to be done haha. Can't wait till i visit Jakarta again in June!! see ya loves! ps: Mr Alexander McQueen is one of my favourite fashion designers and will always be! House of McQueen, i will not be bored to see your ahmazeeng collection! see u in summer, vhen!! A blogger meet-up ... how fantastic! so fun and so food delicious!! Looks like fun! Your Photoshop project looks awesome!! DISTRIKMODE is giving away a gorgeous pair of diamond earrings to our highest Haiti Fund donor. Come make a fabulous difference! 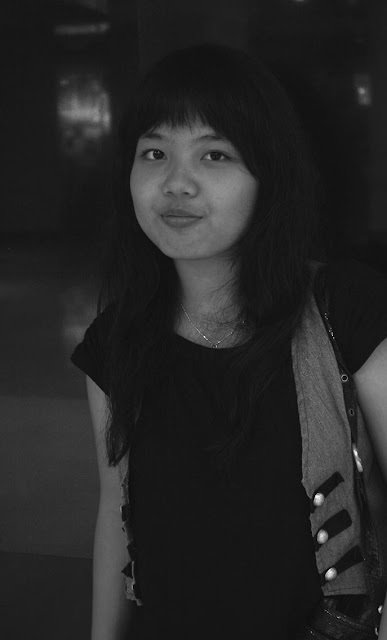 ahh sayang ga bisa lama lama kmrn fhen..
potongan rambut barunya ga terlalu keliatan fhen.. rapiin aja ya? awh, all those foods and meetups! anyway, project masqueradenya keren bangett! wah, iya itu accidentally banget! ntar summer holiday we should meet again with the others too!! bagus rmbtnya fen! so fresh and cute! potong dimana? jgn blg di papanya talisha jg nih hahaha. looking fabulous fen! am so jealous of u guys. huehehe. wew... wanna meet you too dear! I seriously hate you. You always wear the nicest thing. I love your shoe in the second photo! GIVE IT TO ME!!!!!! Looks like so much fun and some delicious food, too. klo kita, kpn ktemuannya dde? ahahay..
love your new hair fhen. it really suits you! Yay for bloggy meetups! You all looked fabulous! my life so far so good, how's your? anyway I've been followed you, hihi sorry for late appr, I'll be heading off to Sgp on March 31'2010, maybe I'll staying at River valley apt, Gonna meet you dear..
btw your new hair is look cute. ga tralu keliatan sh, tap lebih dibentuk ya? great photos! you guys are preeeetttyy! 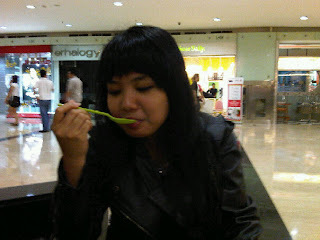 And that frozen yogurt looks delicious! i wanna meet bloggeres too! aww sounds like such a great few days! I love your outfit for the meet up! It looks like you had an amazing time! Thanks for sharing these awesome pictures! awww looks like you had such a great time with your family and friends :) and i'm loving this new hair cut of yours! i just got mine trimmed a little shorter too. 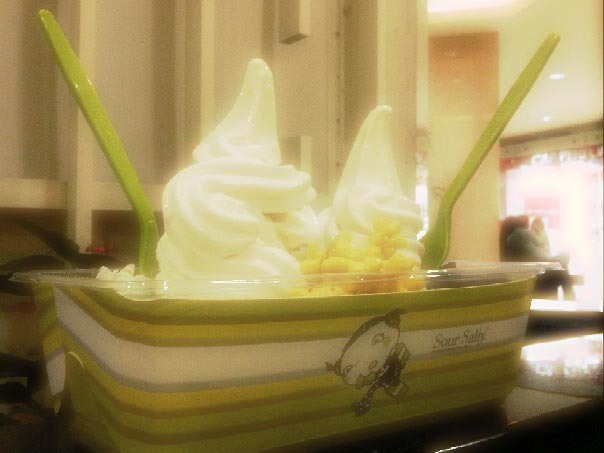 oh, and that double shaved ice looks DELICOUS. great photos, love all the ones with the desserts! That's so cool that you have blogger friends in real life! And HAPPY CHINESE NEW YEARS. I celebrated it (belated) yesterday. Isn't chinese food the best?! OF COURSE IT IS. btw,, gw udah lulus kuliah ini. baru aja januari kemaren. dulu kuliah di ui. hehehe. and where are you studying at? Oh, the food during CNY looks so delicious! And you look so cute with your new hair, adorable bangs! How's ur assignment fhen ? Looks like you had a great time! I love that first dress you're wearing and your new hair style is fabulous! I used to celebrate Chinese New Year when I was in Asia, but it's a little difficult in Europe - all the food looks amazing! wow, looks like you had one helluva time there dear! that's sooooo cool that you got to meet up with other bloggers!!! very jealous. and that food looks delicious! Looks like you had a lovely CNY! your new hairdo is so cute! thank you for visiting love.